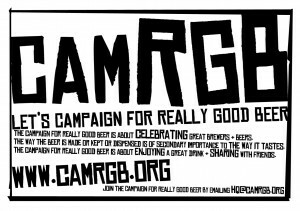 Since starting CAMRGB I’ve met lots and lots of beer people. Almost to a man (and woman) they’ve been friendly, nice, interesting, witty and more than slightly obsessive. Many of them make their own beer at home – Something I’ve thought about but have neither the time or space, nor the money to begin. 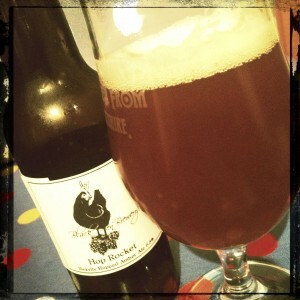 This week I received some beer through the post from The Black Hen Brewery, run by Fergus McIver from his home in Surrey. We’ve been talking a lot through Twitter and Facebook and email and though we’re yet to meet face to face, I can’t imagine anything else happening other than us getting on and having a bit of a laugh. Because of this I was a little nervous about tasting his beer. What if it just wasn’t very good? The Black Hen Brewery makes astonishingly good beer. Let’s ask him a few questions. How long have you been brewing and how and why did you start? 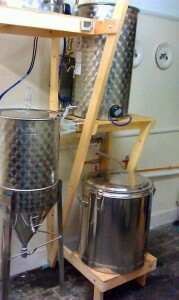 Andrea and I started gathering equipment for our brewery a year ago and our first brew was seven months ago in March. We have brewed ten times now. We were inspired to brew from our love of really good beers and by fellow drinkers at our award-winning local The Surrey Oaks. Initially our brews were collaborative however we fast became competitive with each other! Where are you brewing and what’s the capacity? 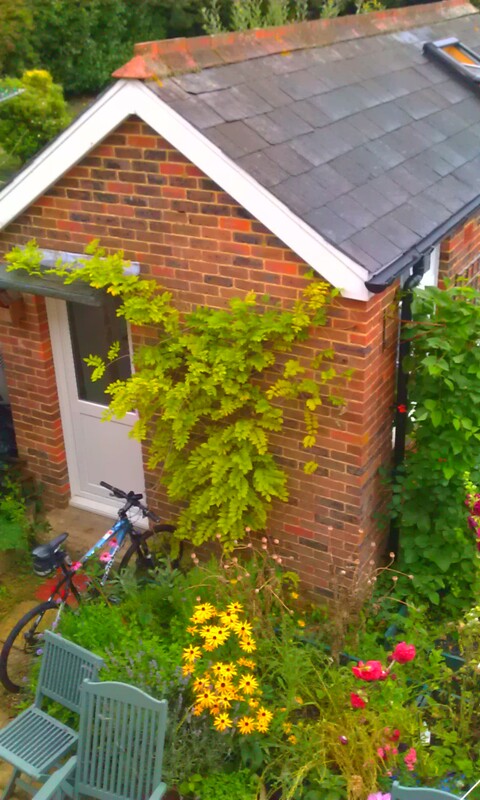 We brew in the village’s old doctor’s surgery from the 1930s which came with our house. We’re very fortunate to have the space. We brew double the usual home brew capacity in 75 litre all-stainless steel vessels for 50 litre or 100 bottle brews. A little over one firkin. Is this something you’d like to do for a living or will it always remain a hobby project? We would perhaps like to take up brewing as a career as we are very passionate about the craft however we both have jobs we love, Andrea with her own business. I expect it will remain a serious hobby. All the beers I’ve tried by you are huge hop beasts. I take it you’re a true hop junky and not big on soft malty beers. 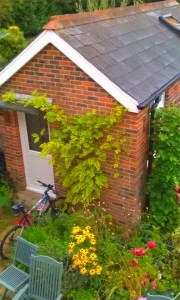 Hop dependents more like! I can appreciate and enjoy a beer featuring regular hop levels however the majority of beers which make me go WOW use notable amounts of hops. I don’t enjoy sweet caramel malty ales one bit. In fact that style kept me away from real ale for many years. Hop Back’s Summer Lightning and Timothy Taylor’s Landlord are the two which really got me going at first. Thick unguent juicy tropical fruit sweets, round and delicious. Orange pith and peel, grapefruit zest and an endlessly satisfying bitter finish. A packet of Starburst pushed up your nose, good sideboardy wood malts, Club biscuits with raisins and a dry, dry, dry finish. Super light – if I was being really critical it could use a bit more body that another percent or two of alcohol could give. Massive, gargantuan espresso hit, dark bitter chocolate, and a delicious waft of plums. Leaves a taste like choclate coated coffee beans. If nothing else, Fergus and Andrea have proved with Black Hen Brewery that with a little time and energy and dedication home brewing can be amazing. 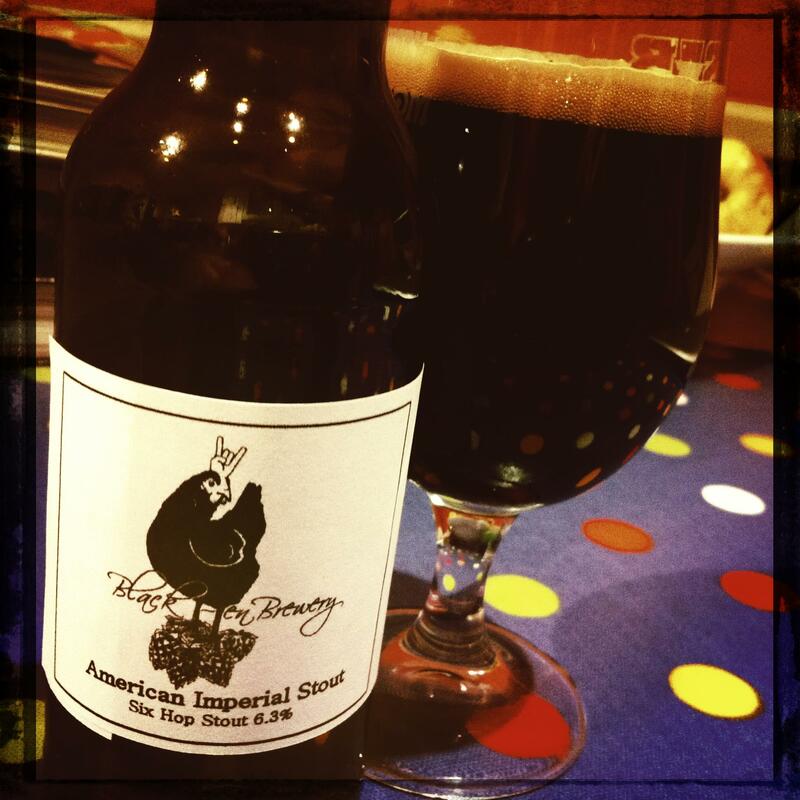 This entry was posted in Beer Review, Brewery, CAMRGB, Interview, Uncategorized and tagged Beer Review, Black Hen Brewery, bottled beer, Brewery, CAMRGB, Drinking, Home Brewing, Interview, Stout. Bookmark the permalink. Sounds like they would go down well if the brewery became full time!